Is philanthropy, by its very nature, a threat to today's democracy? 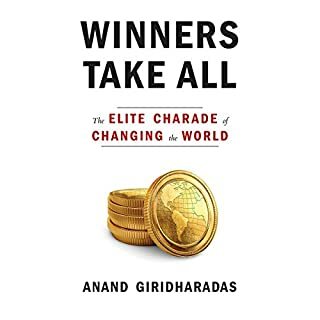 Though we may laud wealthy individuals who give away their money for society's benefit, Just Giving reveals how such generosity not only isn't the unassailable good we think it to be but might also undermine democratic values and set back aspirations of justice. Why do we let people with money have power? 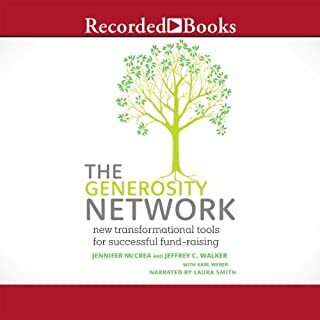 The Generosity Network is the essential guide to the art of activating resources of every kind behind any worthy cause. Philanthropist Jeff Walker and fund-raising expert Jennifer McCrea offer a fresh new perspective that can make the toughest challenges of nonprofit management and development less stressful, more rewarding - and even fun. 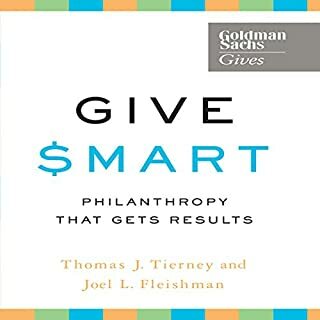 Walker and McCrea show how traditional pre-scripted, money-centered, goal-oriented fund-raising techniques lead to anxiety and failure, while open-spirited, curiosity-driven, person-to-person connections lead to discovery, growth - and often amazing results. We are entering a new era - an era of impact. The largest intergenerational transfer of wealth in history will soon be underway, bringing with it the potential for huge increases in philanthropic funding. Engine of Impact shows how nonprofits can apply the principles of strategic leadership to attract greater financial support and leverage that funding to maximum effect. Effective altruism is built upon the simple, but profound, idea that living a fully ethical life involves doing the "most good you can do". Such a life requires an unsentimental view of charitable giving: To be a worthy recipient of our support, an organization must be able to demonstrate that it will do more good with our money or our time than other options open to us. Singer introduces us to an array of remarkable people who are restructuring their lives in accordance with these ideas and shows how living altruistically often leads to greater personal fulfillment. Merchants of Truth is the groundbreaking and gripping story of the precarious state of the news business told by one of our most eminent journalists. Jill Abramson follows four companies: The New York Times, The Washington Post, BuzzFeed, and Vice Media over a decade of disruption and radical adjustment. The new digital reality nearly kills two venerable newspapers with an aging readership while creating two media behemoths with a ballooning and fickle audience of millennials. We live in a factory-made world: modern life is built on three centuries of advances in factory production, efficiency, and technology. But giant factories have also fueled our fears about the future since their beginnings, when William Blake called them "dark Satanic mills". Many factories that operated over the last two centuries - such as Homestead, River Rouge, and Foxconn - were known for the labor exploitation and class warfare they engendered, not to mention the environmental devastation caused by factory production. An inside look at the secretive world of elite philanthropists - and how they're quietly wielding ever more power to shape American life in ways both good and bad. While media attention focuses on famous philanthropists such as Bill Gates and Charles Koch, thousands of donors are at work below the radar promoting a wide range of causes. David Callahan charts the rise of these new power players and the ways they are converting the fortunes of a second Gilded Age into influence. 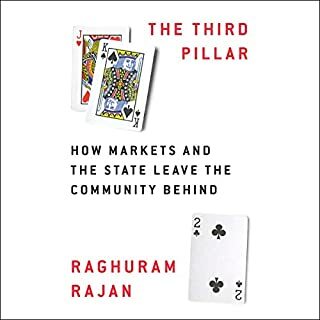 He shows how this elite works behind the scenes on education, the environment, science, LGBT rights, and many other issues - with deep impact on government policy. Above all, he shows that the influence of the Givers is only beginning, as new waves of billionaires like Mark Zuckerberg turn to philanthropy. 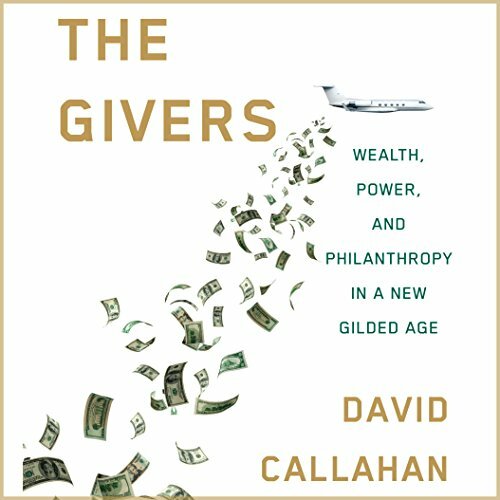 Based on extensive research and interviews with countless donors and policy experts, this is not a brief for or against the Givers but a fascinating investigation of a power shift in American society that has implications for us all. I've learned many things in this book. Great wealth can dictate great changes. Great wealth philanthropy can also elicit push back and anger. By feeding billions of charitable dollars to the institutions of today, it appears that we get the same results that we have today. If we would like new results we're going to have to find new ideas and different types of institutions. At the heart of the great inequalities lies the difference between what the lowest worker earns and what the highest workers earn. The highest workers in some companies earn tens of thousands times the lowest workers in the very same company . 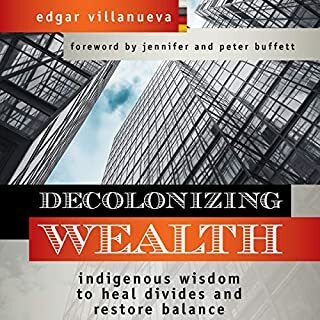 When five people in the United States have as much wealth as the bottom 45% of this country, a perfect recipe for great social discord and unrest is generated. This disparity brings hunger, pain, suffering, crime, distrust and a sense of hopelessness in 99% of Americans. When you don't have the wealth and financial reserves two create a prosperous home life for your family, this leads to desperation in the family which in turn leads to nowhere good for the entire Society. Solid data and analysis, a nice mixture of a journalistic approach and editorializing with recommendations. 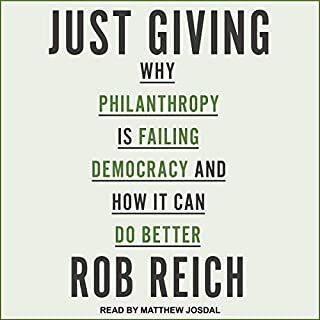 Really interesting, by telling the story of philanthropy and charity through the stories of the mega-wealthy. The ultra rich have so much more influence on our lives than you would ever imagine! Billions buy big power, and some billionaires weild this power positively; others, less so. A peek into the lives and interests of the American super-rich!